Healthcare costs are skyrocketing. In 2016, healthcare costs in the US are estimated at nearly 18 percent of the GDP! Healthcare is becoming less affordable worldwide, and a serious chasm is widening between those that can afford healthcare and those that cannot. There are many factors driving the high cost of healthcare, one of them is fraud. In healthcare, there are several types of fraud including prescription fraud, medical identity fraud, financial fraud, and occupational fraud. The National Health Care Anti-Fraud Association estimates conservatively that health care fraud costs the US about $68 billion annually, which is about three percent of the US total $2.26 trillion in overall healthcare spending. There are two root vulnerabilities in healthcare organizations: insufficient protection of data integrity, and a lack of transparency. Cybersecurity involves safeguarding the confidentiality, availability, and integrity of data. Often cybersecurity is mistakenly equated with protecting just the confidentiality of data to prevent unauthorized access. However, equally important is protecting the availability of data. That is, you must secure timely and reliable access to data, as well as the integrity of the data. You must ensure records are accurate, complete, and up-to-date. Protecting the integrity of information is particularly important for anti-fraud. Insufficient protection paves the way for the alteration or deletion of records for personal gain. Many types of fraud involve the creation of new fraudulent records. This can occur within a single organization and many times even within just a single system or silo within a healthcare organization. When this happens with limited access and visibility, then it is easier for fraudsters to conceal their activity. They can conduct fraudulent activities for longer before detection. The longer fraud proceeds undetected, the larger the business impact and cost. Chained hashcodes on blockchains make it practically impossible to alter or delete records on the blockchain. Furthermore, records on blockchains can also include pointers to off-chain data. Together with hashcodes, the pointers can be used to verify the integrity of such off-chain data. And that enables blockchains also to protect the integrity of off-chain data. Protecting the integrity of both on and off-chain records essentially blocks the fraudulent deletion or alteration of records for personal gain. Blockchains provide near real-time transparency of electronic records appended to the blockchain. These new records are visible across the consortium of healthcare organizations connected to the blockchain. This improves the ability of such consortiums to detect fraudulent records. The mere presence of such transparency and the prospect of detection alone will significantly deter fraud. And once such fraud is discovered, organizations can stop, remediate losses, and minimize business impacts and costs. Artificial Intelligence (AI) and Machine Learning (ML) have significant potential as tools for anti-fraud. They enable anti-fraud teams to process vast quantities of data in near real-time and detect fraudulent patterns that can then be investigated further by a team of anti-fraud experts. For example, see a data-driven fight against healthcare fraud, waste, and abuse. As new patterns of fraud are identified, new AI/ML models can be built and integrated into future anti-fraud inference suites, enabling a high degree of automation in anti-fraud. However, AI/ML are very data hungry. When they are powered by data from a single organization and often only a single silo of data within that organization, this stunts the quality of the models that can be built. Further, the quality of inference that can be done using such stunted models often results in a high inference error rate making many anti-fraud use cases infeasible. 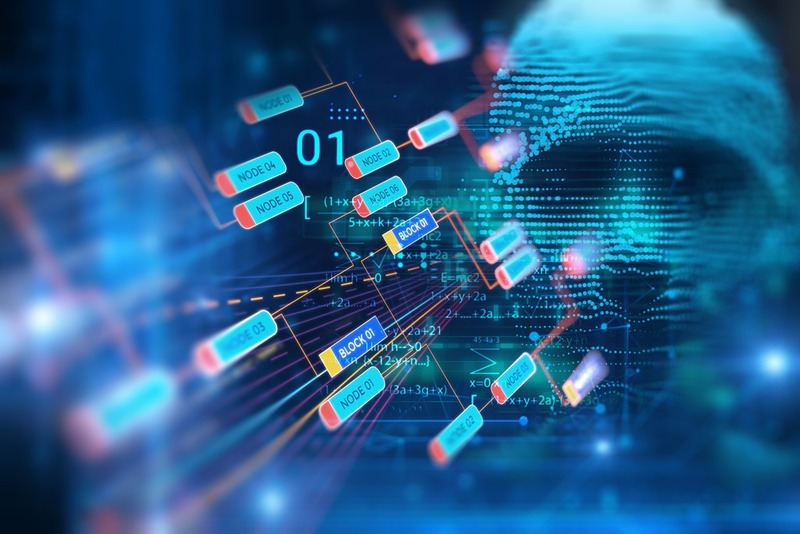 Blockchains enable collaboration on AI/ML for anti-fraud across a consortium of healthcare organizations. This allows collaboration on training data, the creation of shared models, inference results, and the validation of those results. As discussed in Accelerating AI and ML in Healthcare Using Blockchain. I recently had the honor of presenting “Blockchain as a tool for anti-fraud” at the ISMG Fraud and Breach Prevention Summit in Chicago. Due to the overwhelming interest from the anti-fraud community in this subject, I will also be presenting at the ISMG Fraud and Breach Prevention Summits in San Francisco July 10-11 and New York August 8-9. Join us for a lively discussion and to find out how you can leverage Blockchain and AI/ML for anti-fraud in your healthcare organization. If you would like to get started with prototyping a blockchain for your anti-fraud initiative, see the Azure Blockchain Workbench. The workbench is a powerful platform for rapid prototyping of your blockchain. Once created, you can also deploy it as an Ethereum Blockchain on the Microsoft Azure cloud. The Azure Blockchain Workbench will also be adding support for both the Hyperledger Fabric and R3 Corda Blockchain platforms going forward. The Azure Blockchain Workbench enables you to accelerate your prototyping, technical POCs and pilots, enabling you to focus on anti-fraud results, and business value rather than blockchain technologies and deployment complexities. Bootstrap your AI anti-fraud initiative with the Azure Security and Compliance Blueprint - HIPAA/HITRUST Health Data and AI. Rather than starting from scratch, you can accelerate your AI initiative by downloading, configuring, running, and customizing this AI blueprint for your anti-fraud use case. This blueprint also provides a wealth of information on how to protect the privacy, security, and compliance of your cloud-based AI solution. I post regularly about new developments in healthcare, anti-fraud, AI, blockchain, and cloud computing on social media. If you would like to follow me you can find me on LinkedIn and Twitter. What other opportunities and challenges do you see with anti-fraud in healthcare using Blockchain and AI? I welcome your feedback and questions. Will Blockchains Deliver Healthcare Interoperability? Healthcare Blockchain: Does Your Chain Have any Weak Links? Will Your Healthcare Blockchain be Available When you Need It?